The cart is not just for candy, she is also fabulous for a cake table, gift stand or even an amazing cheese, snack or desert table. 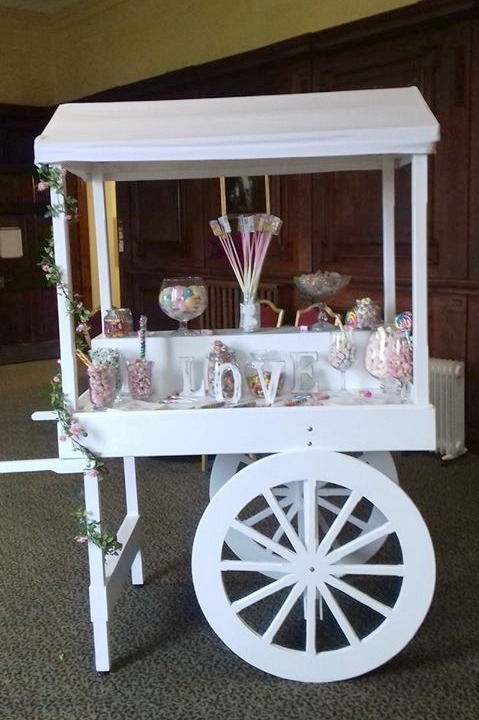 The price includes hire of cart, glassware, tongs, sweetie bags and set-up, colour themed to your event. The cart is set up before your event and collect the next day. We offer free delivery and set up service within the St Neots area, further afield will incur a delivery and collection fee, due to petrol and time. If you wish to have an attendant with the cart, we charge £10 per hour. 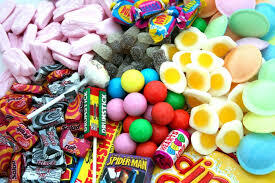 We allow at least 100g of sweets per guest and any remaining sweets are yours to keep. With at least 2 doughnuts per guest. Or why not have a mix of everything. This holds up to 384 Ferraro Roche or you could try it with your favourite lindor or personalised chocolate. 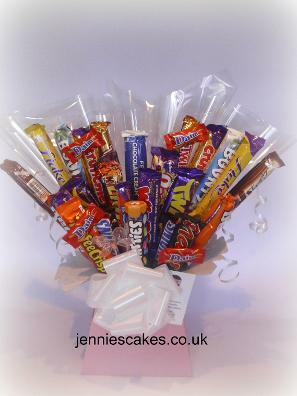 This holds 100 Ferraro Roche or you could try it with your favourite lindor or personalised chocolate. These are great presents for chocoholics, What ever their favourite bar is, I can make them . 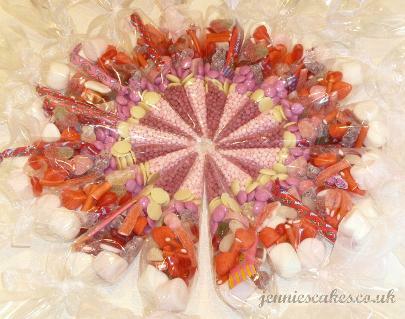 Prices start from £25 and can be made with sweets as well. Want something different to treat your guests with, then why not have a doughnut wall. This can be hired from £15 unfilled or from £60 filled. Don't like cake ? Then why not have a sweetie cake. 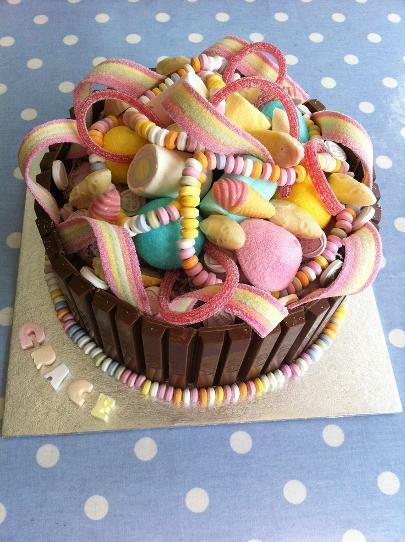 Filled with lots of sweets and chocolate if you like. These are perfect for children's party bags. Filled with a great selection that will keep children of all ages happy. 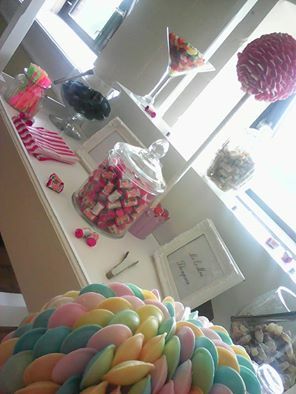 We have an amazing range of retro sweets to choose your perfect sweet buffet. We can not guarantee that all of these are available at the time but we do my best to give you a suitable alternative.